What Do Agile Leaders Do? With so much talk of self-managed teams, it almost makes you question whether leadership is needed in Agile development at all. I’ve had this ongoing discussion with a few of my colleagues who say that the term “Agile leader” is an oxymoron — that the ideal organization is a bunch of Scrum Teams and not much else. Even in an ideal world, I disagree, and here’s why in a nutshell: I’ve never seen, and have not even heard of, an organization that was successful in their pursuit of agility who did not have a strong leader guiding the vision for what the organization can become, motivating people to achieve that vision, nurturing the pursuit of that vision, and protecting, when necessary, the people who want that vision from the people who don’t. As intellectually compelling and self-evident as we would like the advantages of Agile to be, the truth is that there are people who benefit from the old system, and they didn’t get to where they are because they are not astute and influential. They are not simply going to resign their current advantages because someone proposes a superior system; you have to expect that they are going to fight to maintain the status quo. Agile Leaders focus on three things: (1) they create and nurture a culture in which experimentation and learning are embraced; (2) they collaborate with employees (at all levels in the organization) to find common values to create a greater goal for the company and the teams; and (3) they create an organizational structure that reinforces and rewards the other two dimensions. 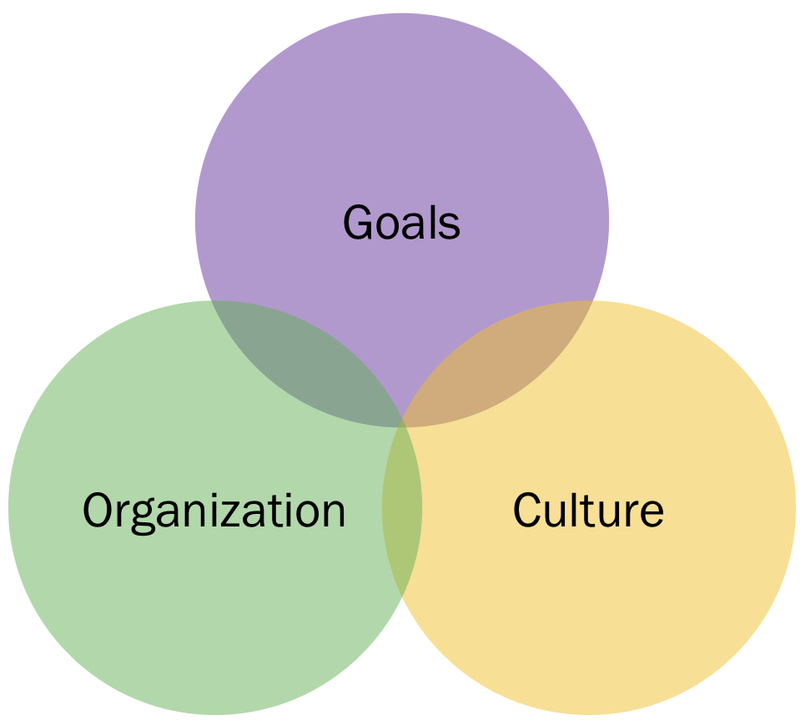 Providing a guiding vision for a shared goal setting is, in my opinion, the most important focus area, and the one that survives even after the organization and culture are largely self-managing and self-sustaining. The goals they inspire others to contribute to and make their own are strategic, and are generally customer or market focused. By strategic, I mean bold and audacious; both aspirational and inspirational. To providing contrasting comparison, think about the motivational difference between the goal of landing on the moon and returning, by the end of the decade with a more prosaic goal of improving profitability by 25%; no one is going to tell their grandchildren that they helped improve investor returns. These motivational goals that leaders help us to identify have some common characteristics: the are motivating and inspiring, but they also are uncertain; they force us to stretch, to do things we have never done before. That’s why agility is so important; if we knew how to reach those goals, we should just develop a plan and march to it. Leaders help their employees to persist in the pursuit of their shared goals and values when times get rough and old behaviors want to take over. The basic Agile team structure is very simple; if we use Scrum as an example, there are only three roles: the Product Owner, the Development Team, and the Scrum Master. But not everything an organization does is done by an Agile team; agility is needed whenever we are dealing with complexity, but not everything is complex. If you were running a company that makes paint, research and development would need agility, but the paint factory itself might be better suited to using lean processes; unless you’re doing a lot of small-batch custom manufacturing, a predictive continuous flow process is probably better than planning production as a series of Sprints. The point is, unless you are a small software start-up, there will always be things outside the scope of what Agile teams do, even if they are only as mundane as payroll, accounting, tax compliance, legal, and investor relations. The role of management is to design, monitor, and correct this system to make sure that the organization achieves its goals. Even product development companies need to do more than simply developing the product. Where Agile leadership comes into play in the management context is that they need to make sure that the different parts of the organization, with different operating models, don’t destroy each other. Put more positively, Agile leaders need to help the organization optimize for flexibility and continuous improvement, making sure that improving customer outcomes always comes first, and that the other parts of the organization support this mission. But the other things need to get done, too. Agile leaders also help teams progress in their maturity. Agility is not binary, and there are predictable stages that teams go through as they improve their ability to learn and improve. Leaders create a supportive environment in which teams can progress, they provide coaches and exposure to peers who can help the teams learn, and they commit themselves to improving their own abilities in parallel. My colleague Ron Eringa has written a handful of excellent blog posts about this topic. The most important thing Agile leaders do is to foster a culture that supports empiricism and learning, and that is constantly seeking better customer outcomes and better ways of achieving those outcomes. The challenge for leaders is that they can’t dictate the culture; they can only create the right conditions for it to emerge. Some of my colleagues like to use a “gardener” metaphor: if you’ve ever had a garden, you know that you can’t makeanything grow. You can create the right conditions with the right amount of water (but not too much), and enough sun (but not too much). You can remove other plants that might compete with the ones you want to grow, and you can protect the plants from predation. You can’t control all factors, however, and an organization’s culture emerges only partly as an expression of its leaders' aspirations; most of it comes from the people in the organization, how they treat each other and work together. Culture is the non-copyable je ne sais quoi that makes your organization unique. But while leaders can’t control and dictate this culture, they can encourage it and cause it to flourish by the examples they set and the behaviors that they model. Agile leaders play an important, even essential, role in scaling agility in an organization. While Agile teams can fly under the radar so long as their scope remains small, the larger the scope and scale of agility, the more Agile teams need supportive leaders to help them to frame the right goals, to make the organization work in support of agility and not against it, and to evolve the culture to embrace and reward learning, rather than merely tolerating it. What organizations who are struggling to scale their agility are most often missing is strong, supportive Agile leadership that helps them to build strong, cohesive Agile teams. Agile leadership and high-performing teams work in a kind of feedback loop: weakness in one weakens all, while strong leadership reinforces and strengthens strong teams, and vice versa.